That’s the best way to think of it. But when you’re quite happy with your fitness routine, working out with a personal trainer may seem unnecessary. Self indulgent, even. A personal trainer can teach you things that no instruction manual ever could; it’s one of the most crucial services they provide. Even one session could be the difference between performing a move with slight off-form and getting the most out of your workout. More importantly, it can prevent nasty injuries - especially for compound moves like squats and deadlifts. If you’re always finding something better to do than head to the gym, a personal trainer is definitely for you. Staying motivated on certain days can be hard, remaining motivated consistently over the course of months or years can be even tougher. But not with someone to push you. Not with someone who wants you to succeed, get healthy and reach your goals. Amazing personal trainers can double as therapists: tapping into your emotional and mental needs, spotting the times you’re going through a slump and bringing you back on track. A properly beneficial fitness programme is more than just a timetable of different activities. A personal trainer will properly assess all aspects of your body, personality, life, goals and a range of other variables. And it doesn’t stop there. Your trainer will work with you, amending your routine as you progress. If you’re seeing slow or non-existent results at the moment, progression is a personal trainer away. Food plays a vital role in reaching your goals and making you feel and look your best. While most trainers aren’t registered dieticians, they can still help you choose the right foods to coincide with your training programme. In fact, highly educated trainers often know their macronutrients (and their role in fitness) better than dieticians. Plus, they can figure out your personal nutritional needs - a service you can’t find in a book. As well as a trainer’s motivation, another reason you won’t skip exercise is because you’re not just accountable to yourself, but to another person. On those days you’re feeling lured by the sofa and a good movie rather than sweating it out at the gym, having an appointment with a personal trainer will force you to show up. It will also change your mindset, making exercise a habit on your most uninspired days. Plus, you’re more likely to drag yourself to the gym in between sessions to improve week on week, to impress your personal trainer, of course. 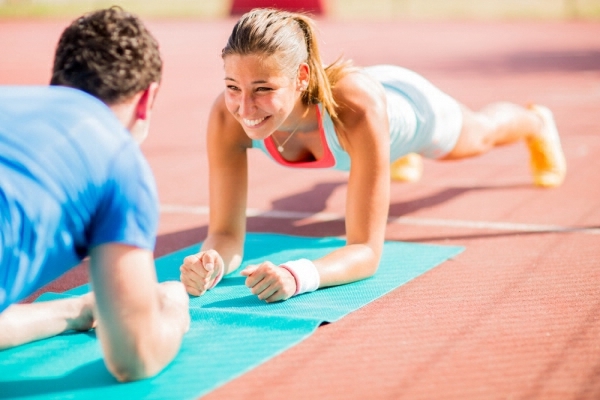 So, do you need a personal trainer? Many people think personal trainers can’t do more for them than they can do for themselves, which is a big put-off. But, as we’ve covered above, there are plenty of benefits of one-on-one sessions. Especially if you’re new to exercise, have unrealistic goals or don’t seem to be losing weight with your current regime.